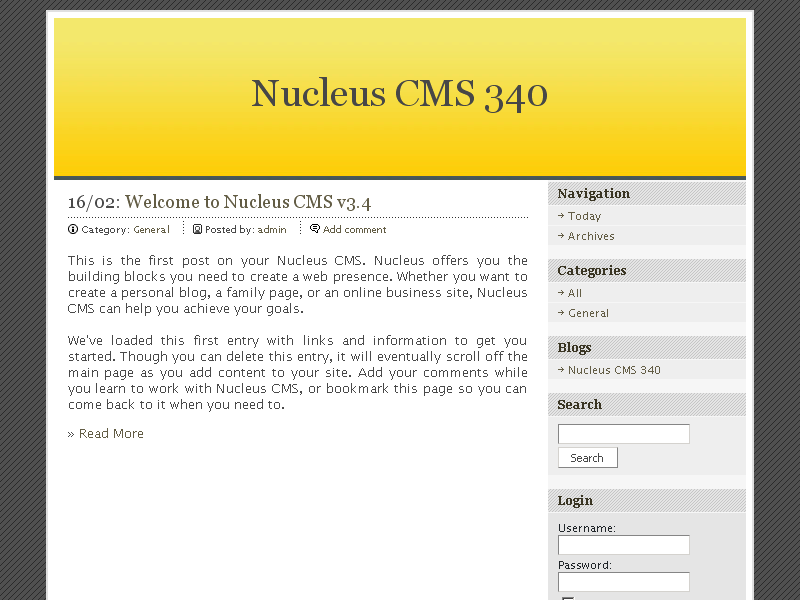 Want to quickly see how the open-source software Nucleus CMS works? 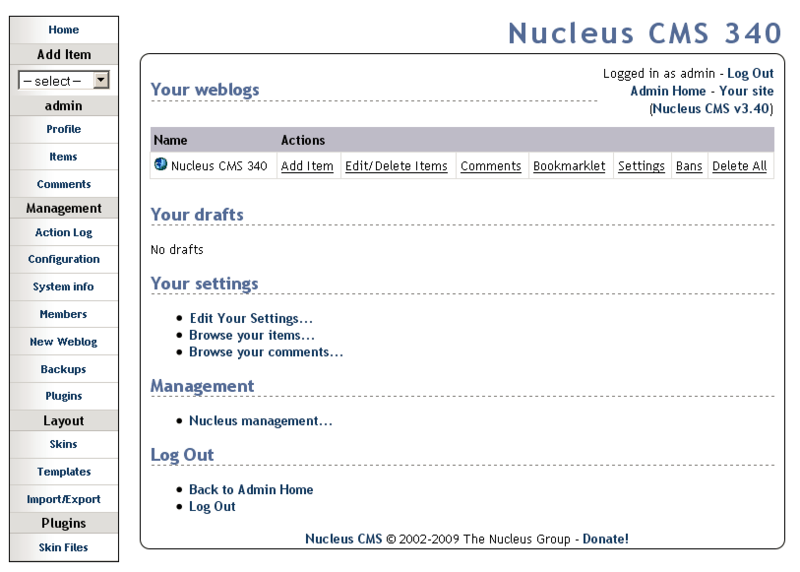 You'll find a free and updated demo installation of Nucleus CMS here. 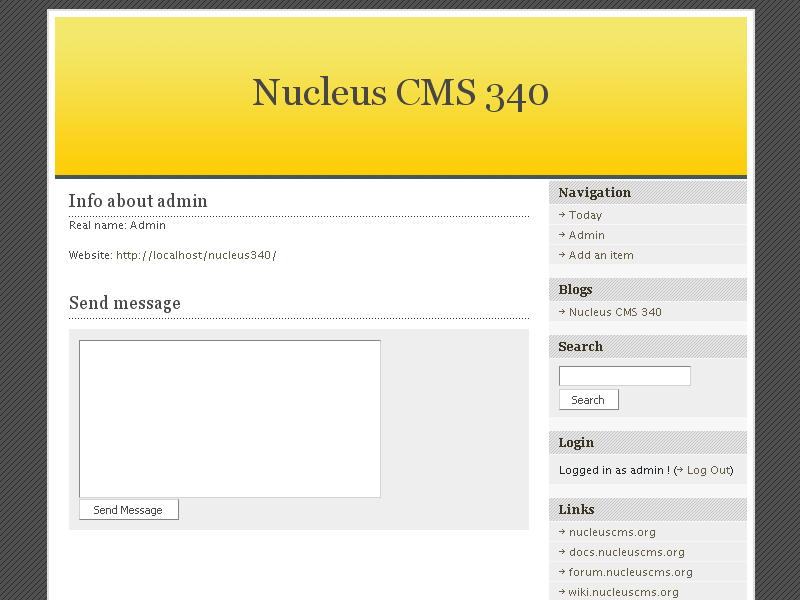 Nucleus CMS is a free open source blog management software built using PHP as a programming language that uses a MySQL database to store information. With the proper alteration to themes it can also be used as a lightweight content management system. 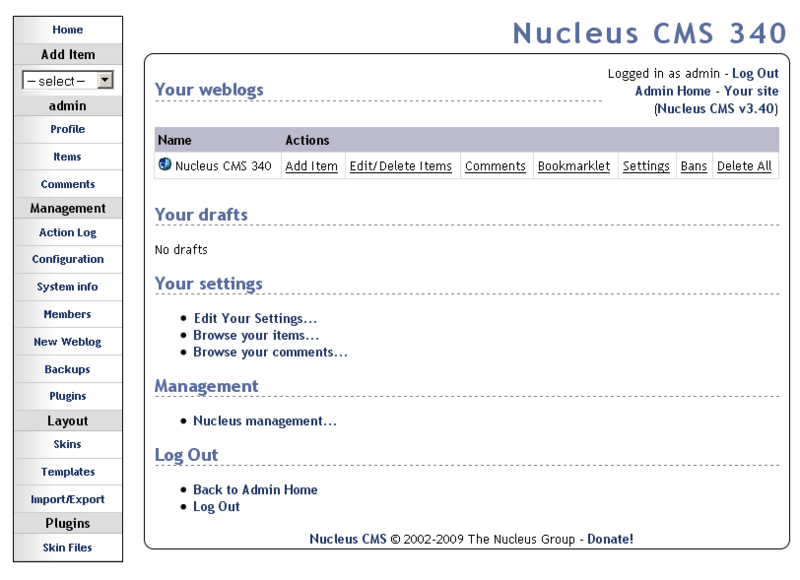 Nucleus CMS was first developed by Demuynck in January 2008 while studying for a master in computer science. In June 2014 the project was cancelled, but revived two years later. Nucleus CMS currently supports five languages: English, German, Polish, Czech and Japanese but has over fifty user contributed translations available. You can get a complete review of this blogging software by clicking on the link below to download the archive. 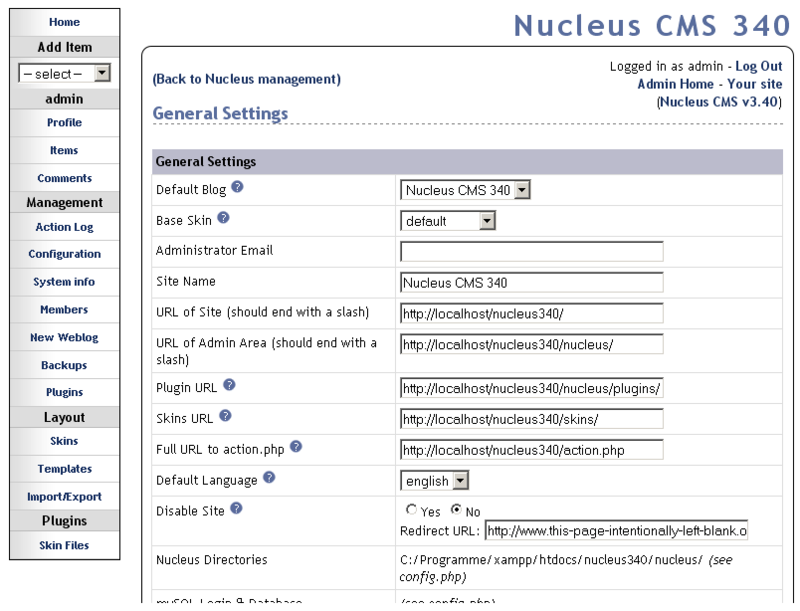 Go through the installation process and set up your own Nucleus CMS demo to see all the features it has to offer. In order to successfully create your demo site and install the latest version you will need a server running PHP 5.0.6 or higher and access to a MySQL datababase, version 5.0 or above. The screenshots below will give you a preview of how the admin demo looks like and how you can change the appearance of your online demo using different themes. Some examples of features include multiple weblogs management, built-in commenting system, friendly URLs for both users and search engines and media management. You can also extend current features by installing new plugins or developing your own. 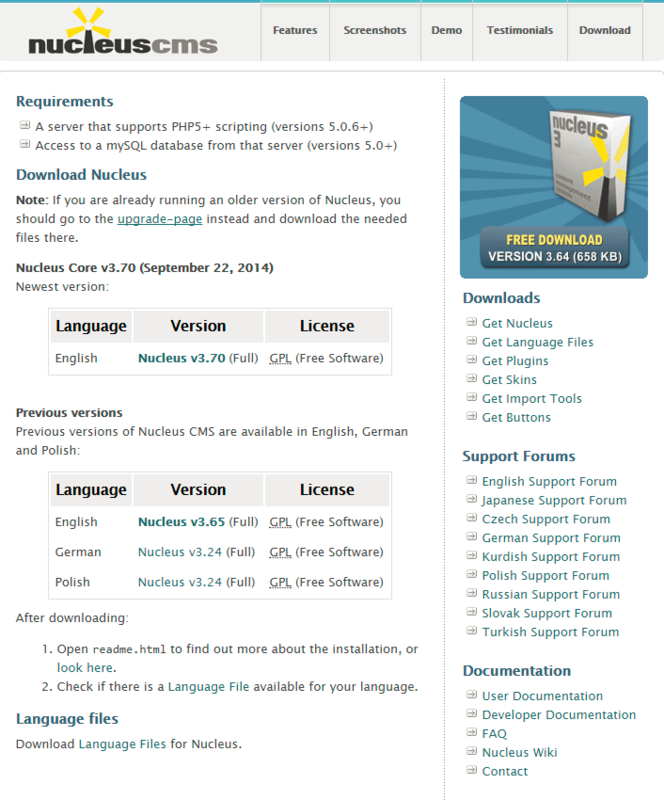 The latest version available for download is 3.7.0 and was released on September 22, 2014 under the GPL license.